"What Do I Need to Know About Raising Catholic Children in Today's World?" "What Do I Need to Know About Raising Catholic Children in Today's World?" The answer is both “nothing” and “everything”. A new mother needs to know “nothing” in that God’s grace truly will provide. Sacramental marital graces will pull her and her spouse through many tough and dark times, with no credit to her or to him. Nothing really and truly can prepare a mother for the moment her child is first placed in her arms and she and her spouse are suddenly totally responsible for this precious little soul. Yet, parents must do “everything” they can do to raise a child in the Faith and then trust that God will complete the work. I think there is a danger in thinking that a person is “done” at 18, that a child is “raised well” (or not) by then. After all, which of us is totally complete, finally the person God calls us to be even before we hit the second decade age mark? Moving towards God and towards Heaven takes an entire life’s work. In the early years, parents are critical in launching the child in this direction. Later on, the decision, responsibility, and privilege will be the child’s own. But it is a process, and we have to remember that. That being said, what should good parents know in order to raise their children well in the Faith? And what should parents do? What Parents Should Know: Knowing several things will help Catholic parents navigate the exciting world of raising their children well. First, parents should know that the world, generally, will not support their efforts to raise their children in the Catholic faith. That’s not being negative. It’s stating a fact. Since the time Jesus walked the earth Christian beliefs and Christians themselves have been persecuted. We need to arm ourselves with a joyful demeanor and live the Christian live fully without expecting it to be easy or to be applauded. The world will frequently contradict our desires to be modest, chaste, kind, generous, patient, temperate, and holy. We must be all those things anyway. The world will tell us to pursue materialism, earthly goods, fame, power, and success. We must reject that and reach for higher goals—and teach our children to do the same. We have to expect to be revolutionaries, of sorts, radically living in peace, for Christ. And remember, revolutionaries don’t necessarily have support groups. Yes, there may be pockets here and there of support, of like-minded people who are striving to raise their children the way that we are, and finding these folks will be blessed relief and consolation, like cold water is to a thirsty soul. Indeed, we should seek out like-minded parents to network and brainstorm with them, but we must not expect to rely on them in all cases, at all times. God alone will be our perfect strength as we seek to do His will in our families. Second, parents should also know that children learn far more from example than from preaching or formal lessons. The best way we can raise good Catholic children is to be good Catholic people ourselves. Children learn temperance by seeing us model that. They learn kindness of speech by seeing that exemplified in us. They learn to love the Mass and Sacraments when we love the Mass and Sacraments and bring them with us to experience them. We don’t need to preach to children the importance of praying the Rosary, although sharing stories and the Church’s guidance in this regard is good. We need to give them little plastic rosaries when they are just toddlers and snuggle with them on our laps as we recite the mysteries and pray this prayer ourselves. Our Catholic faith must be totally and entirely integrated in our lives, both for our own good and so our children can absorb it. Third, parents should know that perseverance is essential because suffering often comes with the territory of raising children. This can be difficult to understand when one is in the midst of it, especially at the beginning. We might initially address child-raising like we have other “projects”—by making a plan and giving it our best efforts. We expect immediate positive results because we have tried so hard and done our research. Yet, raising good Catholic children is not like any other “project”. It takes more time, more faith, more trust than anything else we have ever done. Sometimes situations arise in child-rearing that challenge us to the very core of ourselves and elicit suffering, sometimes great suffering. This is perfectly normal. You see, God molds us as we mold our children. These are “growing pains” of sorts. The growth toward holiness, in fact, should, be a family endeavor. If we stay close to Him, we have nothing to fear and are assured of “success” in His time and in His way. One day when I was at Mass, I suddenly and surely felt that a distinct part of the vocation of mothers is to suffer for their children. I sincerely believe that when we unite our daily sufferings to those of Jesus on the cross, our suffering can be redemptive. Our children may be buoyed by our generosity and spirit of acceptance when they would otherwise be tempted to falter just by our offering our sufferings for them. The more children we have the more prayers we ought to be offering, and the more willing we ought to be to accept life’s little and big crosses for them. Our children’s eternal salvation may depend on it. I can’t help but think of good St. Monica who followed her selfish and sinful son to Rome, and then to Milan, literally hounding him with prayers. It is said that a bishop once said to a distraught Monica, “Surely a son of so many tears and prayers will not be lost.” And we all know the outcome of that story... St. Monica became a great saint, as did her son St. Augustine, who was also named a Doctor of the Church. We would all do well to emulate the example of St. Monica and be relentless prayer warriors for our children. What Parents Should Do: There is no formula for raising good Catholic children into good Catholic adults, but we can utilize a strategy that has helped many parents and families. These 7 “R”s can help you in your parenting journey. Receive the sacraments soon and frequently. This cannot be emphasized enough. Baptize babies immediately. It is most important that a child receives their baptism as soon as possible after birth. Make a family confession date every month. Some families like to go out for ice cream afterwards or another little treat. The sacrament of confession is critical for the spiritual growth of everyone. We wouldn’t dream of going months without showering, which cleanses our bodies, so why should we consider going more than a month without Confession, which cleanses our souls? 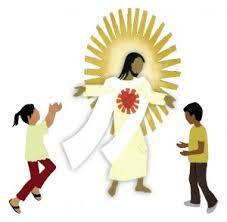 Last, we should take our children to Mass every Sunday and Holy days of obligation. If your children are not in a Catholic school, enroll them in your parish’s Religious education program. Attend form kindergarten all the way through high school Confirmation. Don’t be Sacramental Catholics who come around only when it’s time to fulfill a Sacrament. As they grow older, puts sports and coaches second rather than first before the third commandment. If you don’t joyfully value and practice the Mass and sacraments, neither will your children who are watching you. Read to your child.Start with simple toddler bible stories when they are small, then move on to other Catholic board books and short stories which teach the Faith in simple terms. Incorporate these into evening story time. As your child grows older, add the “real” bible, the catechism, enriching words from all sources. Take the time to teach your children simple apologetics. The complexity of the apologetics books chosen can grow with your child’s age and wisdom. Snuggling on the sofa with a good book and your child can be bonding like few things are, and will help your child grow in Faith if you choose the right reading. Remember to pray - often - and together as a family. Teach them to talk to God regularly and teach them their prayers. Pray in the morning, the evening, at meals (even in public), when there’s trouble and when there is rejoicing. Teach them to talk to God often! Remain steadfast. Endure and trust in Him. Rely on God’s good graces. Trust Him. Rejoice Be thankful. Enjoy each moment, each stage and yes, each challenge. As we strive to raise our children well we will see personal growth too. God is so good. Relax Give yourself a break when you need one, and find ways to spiritually re-charge. Attend a bible study at your parish alone, take time for personal prayer, or meet a like-minded friend for lunch and exchange of ideas. Try hard but don’t expect perfection right off the bat. If you falter, forgive yourself and get up and try again. Remember a fool sits enjoying a mud puddle, but an equal fool may recognize his situation yet sits and laments his fate in the puddle without trying to get out. A wise person recognizes when she is deep “in the mud”, gets up, wipes herself off (Confession) and tries again, careful to avoid the puddle the next time. An eighth “R” might also be to recognize that “success” is not measured by external cues alone. God works in mysterious ways in the deep recesses of the human soul. He is working on our children as He is working on us. Trust Him. Review Be involved in their lives. Know where they are going, what they are watching and who their friends are. Stay involved in all aspects of their lives. Don’t let the TV, phones, iPads, lap tops etc. be their babysitters. As they become teens keep a close eye on their computer sites and phone apps. Talk with them about media topics and keep a constant open dialog with your kids. Talk about bullying and being a vigilant Christian. They will talk with you if you LISTEN. You are the first and most important teachers of YOUR children.